Join the renowned Majid Alyousef on an adventure into calligraphy covering its development, tools and scripts. In a series of exercises, learn the right way to hold a pen and create basic shapes, alphabets and connecting letters to make words. Come to the workshop with a word or short phrase that you would like to practice with. The workshop will introduce the participants to the history and practice of calligraphy, with extensive presentation of the letter forms, shapes and anatomy. Participants will work throughout the course to develop their own designs/monograms based on the exercises they carry on during the workshop sessions. This workshop will start the day by introducing the participants to the variety of techniques available in intaglio showing various examples. This will be followed by an introduction to the materials and tools followed by a demonstration of the process of preparing the plate using hard ground. Participants will then be able to work on their own plates using their own drawings or found imagery and prepare their own metal plate. Participants will be able to print using the press by the end of the day. Join Kevin Jones to re-assess how you generate meaning around your practice. Running from September to December, Critical Dialogues is a course of 12 sessions that discusses the mechanisms of critique. Through lively interrogation of critical texts on local, regional and international exhibitions, participants decode and unravel the strategies at work in the production of meaning around art. Sessions discuss topics such as the mythification of the artist, postcolonialism and the question of identity, and explore issues including how practitioners frame their practice, multiculturalism, and the relationship between artists and institutions. All reading material is provided. This is the third consecutive edition of Critical Dialogues. The course is recommended for artists, writers, curators and individuals actively engaged in contemporary art. Limited capacity. Early registration is advisable. Palestinian embroidery, or tatreez, holds so much meaning to Palestinians: visually, culturally, and politically. This workshop will begin with a discussion about the history of Palestinian embroidery from different regions before 1948. We will discuss how embroidery changes after 1948 in style and significance up to present day. We will also look at how artists and designers interpret and repurpose Palestinian embroidery in their work. There will be an introduction to basic cross-stitch, followed by participants stitching a Palestinian motif. 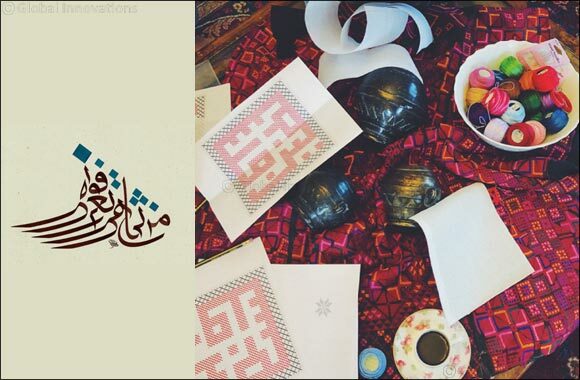 By the end of the workshop, everyone will have an in-depth understanding of the background of Palestinian embroidery and hands-on experience cross-stitching motifs.